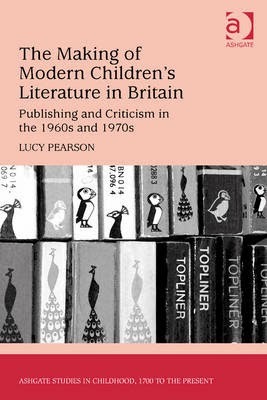 The Rocky Mountain Review of Language and Literature recently published my book review of The Making of Modern Children's Literature in Britain: Publishing and Criticism in the 1960s and 1970s by Lucy Pearson. Pearson's study details the changing publication dynamics of the second Golden Age of children's literature in Britain. The Rocky Mountain Review is the scholarly, peer-reviewed journal for the Rocky Mountain Modern Language Association (RMMLA). The RMMLA dates back to 1947 and functions as one of six branches of the Modern Language Association (MLA), the scholarly organization for colleagues in the language and literature fields. Click here to see more of my academic book review publications. Click here to purchase the text.